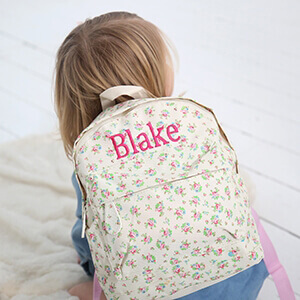 Treat a little one to one of our brilliant backpacks! This backpack is printed with an array of cars. Someone very lucky will be the envy of their friends when they show up to playgroup with this fantastic rucksack. Featuring an extra front pocket and adjustable shoulder straps, as an extra special touch you can add a name with our free embroidered personalisation service. To top it all off, it will also arrive in a free luxury gift box!